Registering to become an organ donor is a simple but very important thing to do. Visit http://www.organdonor.gov/index.html to sign up, and discuss with your family your wish to become a donor. Right now 112,888 people are waiting for an organ. 18 people will die each day waiting for an organ. I have seen far too many fellow CFers pass away while waiting for their gift of life to come. No one wants to think about their own death but it is a very real thing for many people. 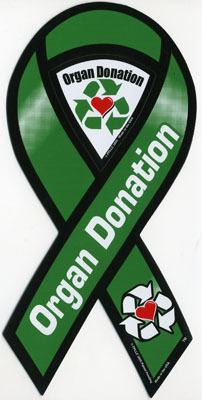 1 organ donor can save up to 8 lives!